No matter what kind of a car you have, you are going to need to take your baby from place to place, and for most cars, any car seat will do the job safely. 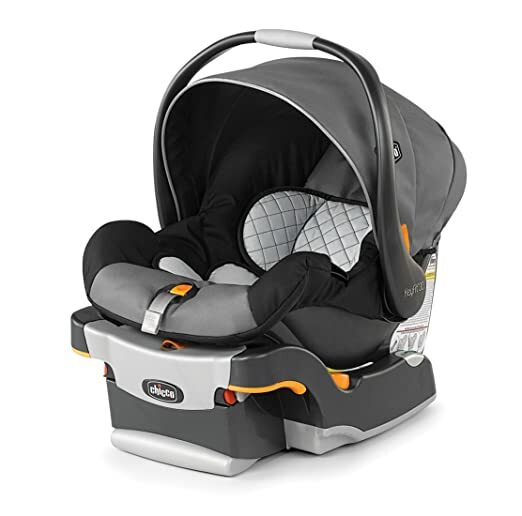 If, however, your car is on the smaller side, you will need to takes special care to make sure that you have the best infant car seat for small cars. Otherwise, you won’t be able to fit the seat into your vehicle and travel with your little one safely. But, you might be thinking, how on Earth can I find the right car seat for my small vehicle? Well, you can ask me, of course! I have put together this little old article for just that reason! In it, you’ll find everything that you need to know to find the best seat for your tiny car. You’ll also get a chance to read some in-depth reviews of the best infant car seats available for small cars. Sound good? Alright then, let’s get right to it! Everyone knows that rear facing is the safest way for your newborn to ride in the car. But do you know just how much safer this makes your child? Research has shown that a rear-facing child is up to 500% safer in the car than a kid who is forward facing. Now obviously, you are just looking for an infant seat here, and they can only be installed in a rear-facing manner. The reason that I am telling you how beneficial rear facing is to your child is so that you don’t feel rushed to get your baby out of this seat once they hit a year old. So many parents have done this, and, plain and simple, it just isn’t the best choice. Even if your little one seems to be spilling over their seat, remember, as long as they are within the weight and height limits of the seat, they are perfectly safe. Also, even though it might not seem it to you and me, they are also perfectly comfortable. So please, I BEG you, don’t turn your child around to early. Installation System – There are two basic methods to install any car seat. You can utilize the LATCH system, (which will only work with newer cars), or you can use a seatbelt. You should never install a car seat with both installation systems, as they will work against each other. Most infant seats also come with a base that will allow you to remove the seat with your infant still in it. This is a nice system since it helps to keep your little one comfortable, which is ideal when they are sleeping. It also makes it easier for you, since you won’t need to strap them into the car every time you need to go somewhere. Instead, you simply click them in and get on the road. Weight Limit – Now, obviously, your little bundle of joy is, currently anyway, just that, a little bundle of joy. However, as you might have guessed, they aren’t going to stay that way. That is why you need to keep the weight limit of your infant seat in mind when you are buying it. The higher the weight limit, the more time they will have to use it safely. Of course, the big problem with an infant seat with a high weight limit is that, while you might be able to strap your kid in safely, you might not be able to carry them all that well. So, it is a bit of a double-edged sword. It is really up to your preferences how high of a weight limit you want to get, but just remember, the longer your kid can be rear facing, the safer that they will be in the car. Car Compatibility – Now, this is where you have to be very careful with your selection. Since we are focusing on smaller cars, you need to be sure that the infant car seat that you want to use will fit within the confines of the back seat of your vehicle. The very best place to look for this information will be in the owner’s guide for your car. In there, you should be able to find out what type of installation system you can use. This will also give you the dimensions of your backseat, which will be key in selecting the right car seat for your smaller vehicle. If you don’t have the user’s manual for your car, you can find the measurements on your own. Make sure that you pay special attention to the distance between the backseat and the back of the front seat, as some car seats CANNOT touch the seat in front of them and still be considered safe. Car Seat Size – Once you have the measurements of your car’s back seat in the back of your mind, you are ready to find an infant seat that will fit within those dimensions. I would highly recommend that you try and find a car seat that is somewhat smaller than your backseat. This is because, as I mentioned above, some infant seats are not functionally safe if they are touching the back of the seat in front of them. You should also pay close attention to the width of the car seat, especially if you intend to have more children in the future. The slimmer the seat, the more likely it will be that you can fit two seats side-by-side in the back of your vehicle. Ease of Use – Car seats, and especially infant car seats are relatively straightforward to install and use. This is especially the case if you choose to install them with the base system. While the base itself can be a bit tricky to get in the first time, once it is installed, infant seats are pretty easy to use. However, you should always look for a seat that makes it easier for you to get your little one in and out of the base easily. Make sure that the button or lever that you need to press to remove the car seat from the base is easy to use and accessible so that it isn’t a huge chore to get the car seat out of the car. The straps for the car seat should also be easy to tighten, loosen, and keep from getting tangled. If they do tangle easily, then your little one won’t be safe at all in the car. 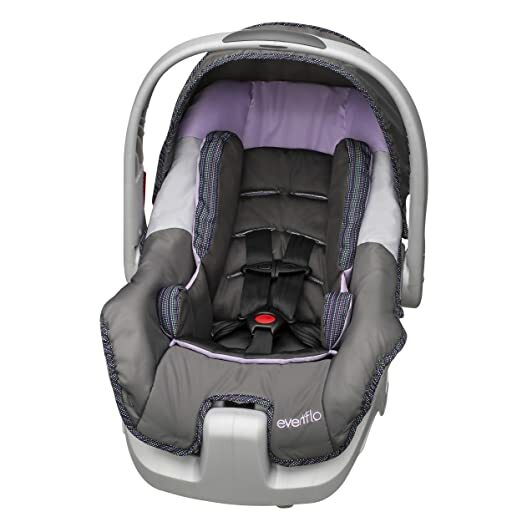 The Good: The Keyfit 30 is the standard by which all other infant seats should be measured. It is by far one of the easiest to install and can be installed using the LATCH system or the seatbelt of the car. While the installation process is never completely easy, the base for this car seat makes it a bit easier, thanks to the bubble level, which indicates if the seat is level. This seat will also allow for plenty of growth from your child. This is because the straps can be adjusted to fit a child from a newborn, all the way up to an including a two-year-old. This versatility makes this a tough seat to beat. The Bad: This is one of the bigger seats on this list, which might make it a bit difficult if you have an extremely small car. This will be especially true if you are trying to fit more than just one car seat in your vehicle. The Long and Short of It: This is by far the best infant car seat for small cars or any cars for that matter. It is very easy to install and can be used for a good long time, though it might be a bit too large for extremely small vehicles. The Good: This is another super easy to install a car seat, thanks to the included base. It can be installed using either the LATCH system or your vehicle’s seat belt. However, the very best thing about this car seat is how very light it is. The seat itself weighs in at only seven pounds, making it one of the lightest seats on the market. Even if you continue to use it all the way through the upper weight limit of 30 pounds, you should have no problem carrying your little one in this seat. The Bad: While the base is easy to install, it can be tricky to get the seat out of the base, at least until you get the hang of it. Unlike other seats on the market, the latch to remove the seat can be difficult to operate, and tends to stick, especially with heavy use. 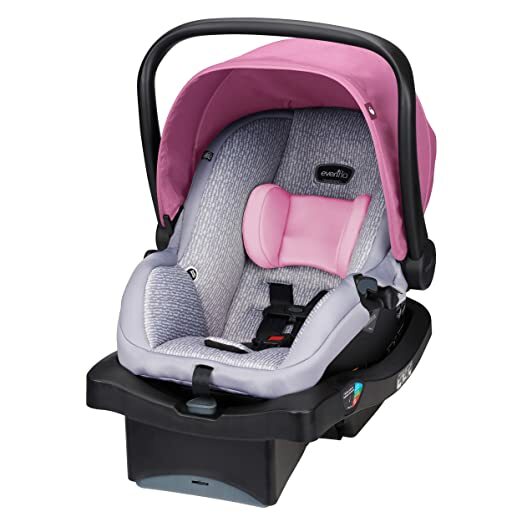 The Long and Short of It: If you are looking for a nice light infant seat, then the SnugRide is a great choice. Just make sure you take the time to practice getting the seat in and out of the base. The Good: While the LATCH installation method is usually the easiest way to install a car seat, it is not always available. This is especially true in smaller or older vehicles since the bars to which the LATCH connects aren’t there or are inaccessible. Installing with a seatbelt can be frustrating at times unless there is a lock off system in place. That is one of the biggest positives for this car seat. Once you have gotten the seat belt as tight as you want it to go, all you have to do is snap down the lock and, presto! The belt won’t move around anymore. The Bad: Infant seats are great because they allow you to carry your baby around with you whenever you leave the car. This might, however, be quite the tall task with this car seat, since it is really heavy on its own. If you keep your baby in it up to the weight limit of 35 pounds, then you might have a tough time carrying them in the seat. 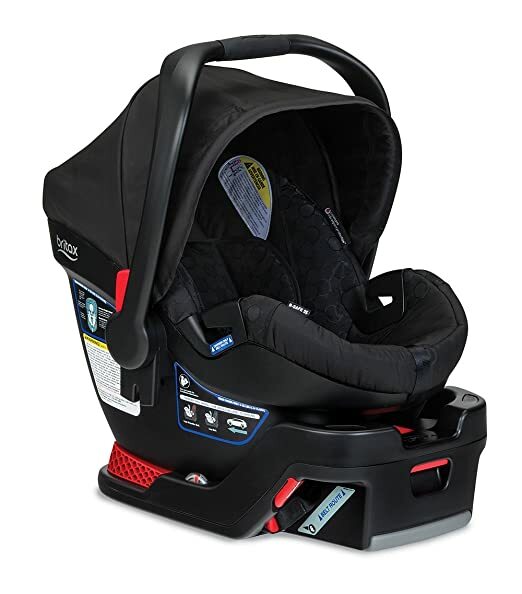 The Long and Short of It: If you have an older vehicle where you cannot install your car seat with the LATCH system, this is a great seat, although its weight might make it difficult to carry as your baby grows. The Good: If you are in the market for a car seat that you know will keep your little one safe, fit into your smaller vehicle, and save you a ton of money, then this is the seat for you! It is one of the cheapest infant seats on the market, but don’t worry it is completely safe for your little one and has undergone plenty of safety inspections and tests to assure its safety. All of the different paddings are also removable, making them quick and easy to keep nice and clean. The Bad: Looking at that price point, you just knew there had to be a catch! The upper weight limit for this seat to be used safely is only 22 pounds, which means you won’t be able to use it as long as other seats on this list. The Long and Short of It: If you are looking for a nice cheap, but safe, option for your infant seat, look no further! It won’t last as long as some others, but this will help to keep your little one nice and safe while they are still little. The Good: As you would expect from Britax, this is one of the easiest smaller size car seats to install. It is also exceedingly safe, with contoured sides that are designed to absorb any impact in case of an accident. This design also makes it nice and slim, which is perfect for a smaller vehicle. What really sets this seat apart, however, is the fact that you can also purchase a stroller that the seat will click into with ease. This system would allow you to easily transition from the car to a stroller without having to unstrap and re-strap your baby, which is a big plus if they are snoozing. The Bad: While the contoured sides are great for safety and for fitting into a smaller vehicle, they might not be the best for a larger baby. If you are the proud parent of a larger than average baby, this seat might not work for you, since your little (big) one might not be super comfortable. The Long and Short of It: This seat is great for small cars due to its slim design. It can also be used in conjunction with a stroller system, which is a big plus, though it might be too slim for larger than average babies. 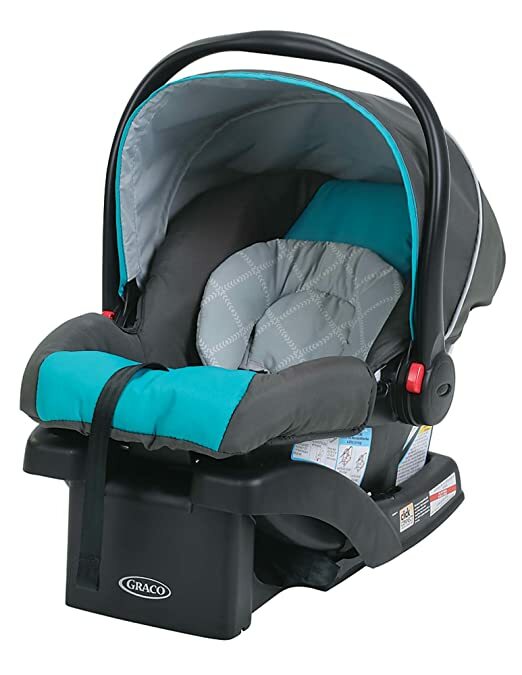 After careful consideration and lots of research, I have concluded that the Chicco KeyFit 30 Infant Car Seat is by far the best infant car seat for small cars! It is super easy to install, adjust, and has a nice high weight limit to keep your little one riding safely for a good long time. If you are truly serious about getting the very best seat for your little one and your small car, then I highly recommend you give this seat a try! Thank you so much for taking the time to read this article, and I hope that it helps you find the perfect seat for you and your little one! Have a great day!